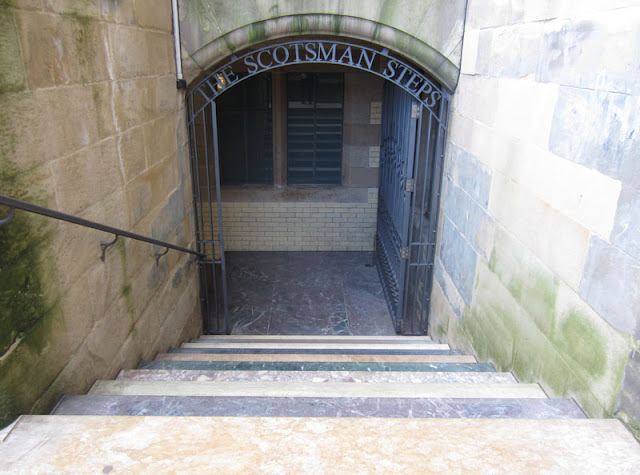 Originally built between 1898 and 1902, the Scotsman Steps are steps leading from the former Scotsman newspaper headquarters on North Bridge (now a hotel) to Market Street below in Edinburgh's hilly Old Town. In spite of being listed as a preservation site in the 1970s, the steps continued to deteriorate due to neglect and became a no-go area for most citizens and visitors in Edinburgh until very recently. 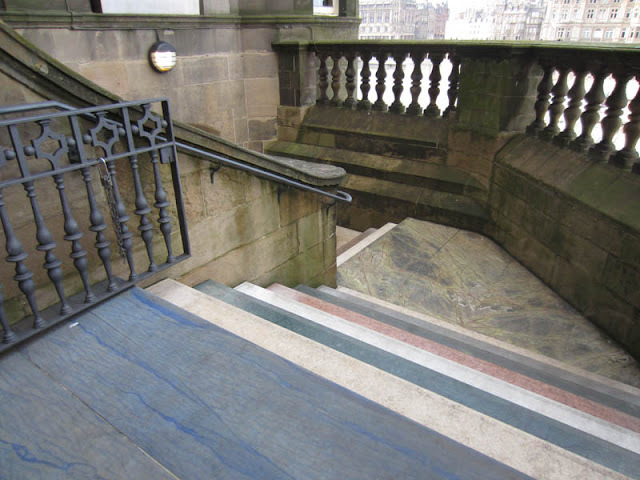 In 2011 the city council and Edinburgh World Heritage decided to restore the steps (about time, really) with the Fruitmarket Gallery commissioning Turner-prize winning artist Martin Creed to get involved. 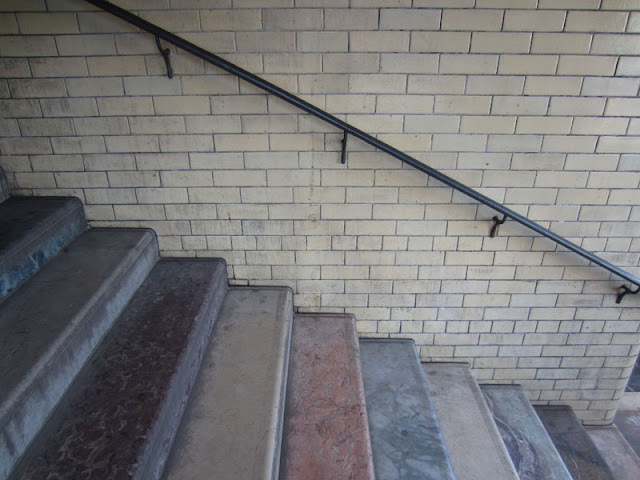 With help from architects McGregor Bowes and Haworth Tompkins Creed resurfaced the steps with over 100 different varieties of marble, creating a colourful and elegant staircase from one level of the city to another. The steps are really interesting, providing exposure to just how large a range of marble is out there. 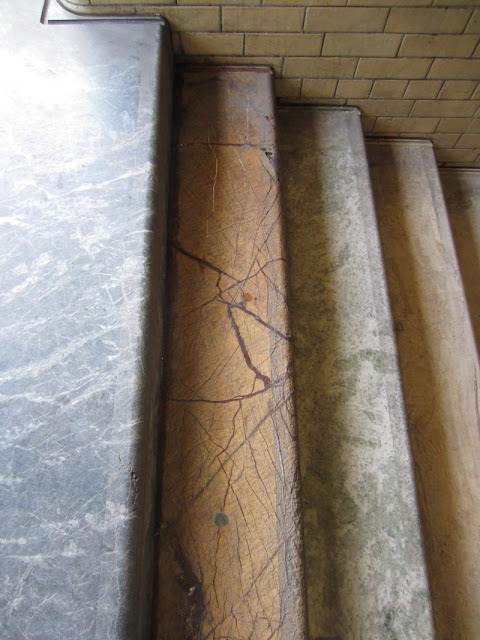 I've only come across a handful of different marbles before, usually white or off-white, never the brightly coloured marble used here. But more than that, it's interesting to see how this space is typically experienced. 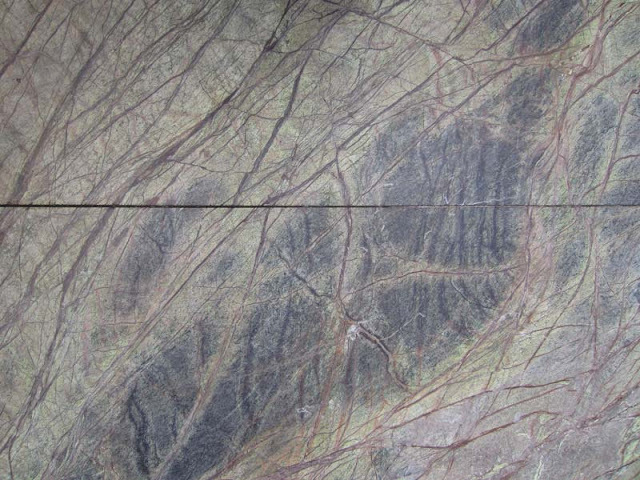 I associate marble with posh spaces like expensive and old-fashioned hotels, or reverential spaces such as churches. 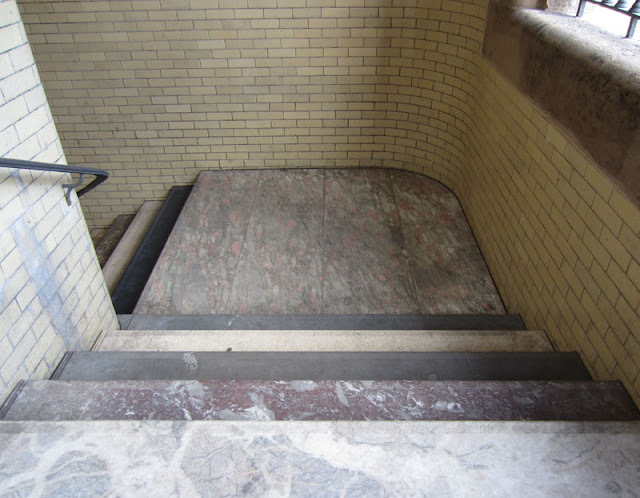 But there's nothing particularly haughty or reverential about the Scotsman Steps: when I went to visit them earlier this week I was the only person on the steps there just to look at them, everyone else who came up or down the steps was rushing to or from Waverly Station. This isn't a quiet meditative space, it's a useful shortcut between the Old Town and the train station. It just so happens that this convenient route is really beautiful. 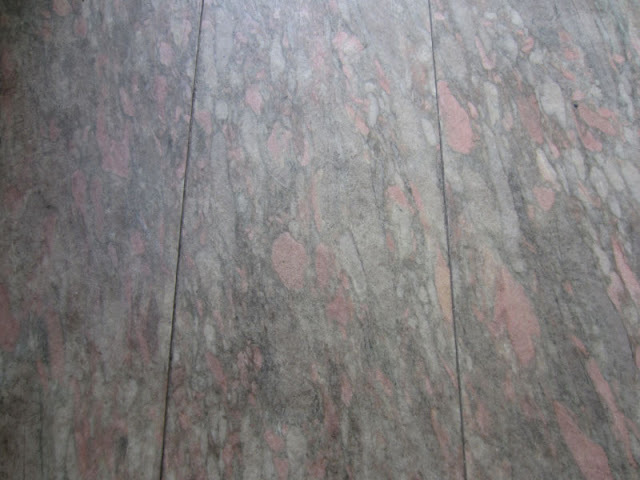 See below for some MARBLEWATCH-style snaps and a video with Creed explaining the project.